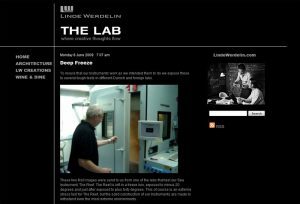 Linde Werdelin watches and instruments, is pleased to announce the launch of The Lab blog, a unique insight from a small yet extremely innovative watch company with Danish roots. Written by Creative Director and co-founder of the brand Morten Linde The Lab, is an inspiring window into Linde Werdelin’s universe through his eyes. Updated on a regular basis, The Lab seeks to bring watch enthusiasts up-to-date with everything that is happening behind the scenes at Linde Werdelin. From product ideas to development execution and testing, Morten communicates his ideas but also welcomes comments and suggestions. Enriched with images taken by the LW team in Copenhagen, The Lab is a visual paradise for any watch aficionado and includes photos of the actual LW lab in Denmark, blueprints, prototype watches and instruments as well as shots from the different test centres the company uses for their instruments. The Lab also proudly shows off the people behind the Quality Control, programming, small alterations and continuous development of the Instruments always in an attempt to be as transparent an organisation as possible. Not just a Horological blog however, Morten also uses The Lab to share his thoughts on lifestyle and specifically design, architecture and travelling. “I wanted to establish a direct window of communication between the brand, my creations and those who love the watch industry and like Linde Werdelin watches. There is nothing more satisfying for a designer than to get immediate feedback on his/her thoughts from the person who is ultimately buying those creations. With The Lab, the end consumer is being offered a front seat to observe and interact with the LW universe,” says Morten Linde.